The Baltimore Orioles reached agreements this week with free agents Yovani Gallardo and Dexter Fowler. Gallardo, who will turn 30 on Saturday, is a right-handed starting pitcher who played for the Texas Rangers last season after spending his first eight years in the majors with Milwaukee. He enters this season with a career 3.66 ERA and 1.32 WHIP. The Orioles originally agreed to a deal for three years and $35 million with Gallardo, but the team expressed concern over a shoulder issue found during the physical. The two sides restructured the deal to become a two-year, $22 million contract with a team option for a third year. In his first year in the American League last season, Gallardo posted his best ERA at 3.42, but highest career WHIP (1.42). He also accumulated a 4.1 Wins Above Replacement, a career high. 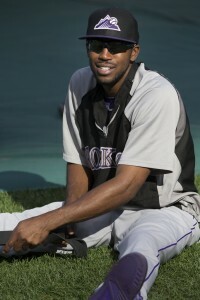 Baltimore simultaneously worked a deal for outfielder Dexter Fowler, worth $35 million over three years. A career .267 hitter, he will be the same age as Gallardo when the season starts. He’ll more than likely take over right field and leadoff duties for the O’s. 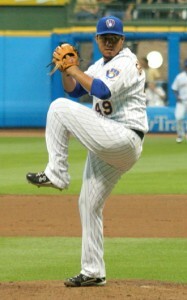 Fowler played his first six years in Colorado before moving on to Houston in 2014, and spent last season with the Cubs. In 2015 he had over 100 more at-bats than any other season in his career and hit a career-high 17 home runs. Fowler has averaged 2.2 WAR over the past five seasons. While Gallardo and Fowler are solid players that will undoubtedly improve the roster, there’s a reason they have remained free agents throughout the winter. Both declined a qualifying offer—one year, $15.8M—from their former teams, meaning any team that signs them would have to give up their highest remaining draft pick in addition to their contract. For the Orioles, that means sacrificing picks 14 and 28 in June’s draft. This system was implemented in 2011. The Orioles already have one of the worst minor league farm systems in baseball. ESPN’s Keith Law recently ranked them 27th out of 30 MLB teams. For the team’s management to willingly forgo desperately needed potential future assets in order to acquire complementary players says a lot about their mindset heading into the 2016 season. Clearly owner Peter Angelos, general manager Dan Duquette, and manager Buck Showalter feel a sense of urgency and thought this team was just a couple of moves away from being set to compete for a championship this season. The Orioles made the same decision late in the 2014 offseason, signing pitcher Ubaldo Jimenez and slugger Nelson Cruz. Jimenez and Cruz both had draft pick compensation attached to them, but Baltimore thought the potential reward outweighed the cost and sacrificed their first and second round picks. While Jimenez would struggle throughout the year, the Cruz gamble paid off as he had a career season. The O’s went on to go 96-66 and capture the AL East division title. They took a step back last season, finishing 81-81. Duquette’s clearly hoping to recapture some of that magic from two years ago. “It’s time to win,” shortstop J.J. Hardy reportedly said to ESPN. “They’re showing us they’re in, 100 percent.” As if there was any doubt in the team’s mindset for this year, you don’t need to look past the fact that they’ll have spent $270 million this offseason. The significant payroll increase is due more in part to keeping their own assets than acquiring free agents like Gallardo and Fowler. The Orioles gave first baseman Chris Davis a massive seven-year, $161 million deal. They resigned reliever Darren O’Day for four years at $31 million. Catcher Matt Wieters unexpectedly accepted his one-year, $15.8 million qualifying offer, and after trading for Mark Trumbo, the Orioles settled on a $9.15 million deal for him. While fans certainly appreciate the spending and the desire from management to field a competitive team, the Orioles aren’t looked at as serious World Series contenders by most analysts, due in large part to their starting pitching. Even after the Yovani Gallardo addition, the team is probably hoping for an average rotation, which consists of all right-handers. Gallardo has the best career ERA of the group at 3.66, followed by Miguel Gonzalez (3.82), Ubaldo Jimenez (4.11), Chris Tillman (4.20) and Kevin Gausman (4.21). The Orioles are certainly hoping for bounce-back seasons from Tillman and Gonzalez, who last season posted their highest ERAs in the past four years. Kevin Gausman has the highest potential ceiling of the group and with his first full season as a starter, he could take a big step forward in 2016. The club will be counting on their hitters to produce in what will be a lineup centered on power and the long ball. It’ll likely look something like: Fowler, Manny Machado, Adam Jones, Davis, Trumbo, Wieters, Jonathan Schoop, Hyun-soo Kim, Hardy. “With the lineup we’ve got, I think we’re going to be pushing for one of the best lineups in baseball,” Adam Jones told ESPN. The Gallardo and Fowler deals helped the Orioles plug some serious holes in the roster, albeit at a cost. Management and the players are undoubtedly on the same page now. They’ve pushed their chips to the center and they’re all-in.